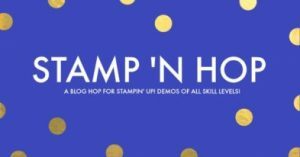 Today I am taking part in another Stamp ‘N Hop with other Independent Stampin’ Up! Demonstrators of all skill levels. 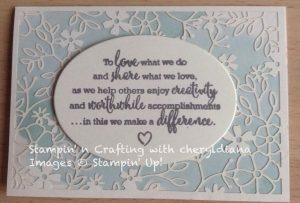 In this month’s blog hop we are showing items that we have been as a demonstrator been able to pre-order from the 2018-2019 Annual Catalogue. Being a relative new demonstrator finding the funds to buy everything in the catalogue can be quite daunting so I concentrated my purchases around a couple of items I could get most use out. 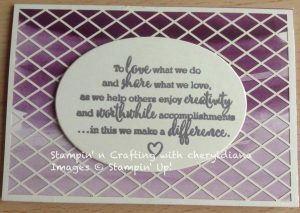 I just had to get the ‘Statement of my Heart’ special stamp as it says exactly what we love about Stampin’ Up! and what we do as a demonstrator. 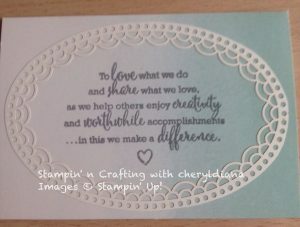 The other 2 products I bought are the Delightfully Detailed laser cut speciality paper and the Delightfully Detailed note cards and envelopes.. 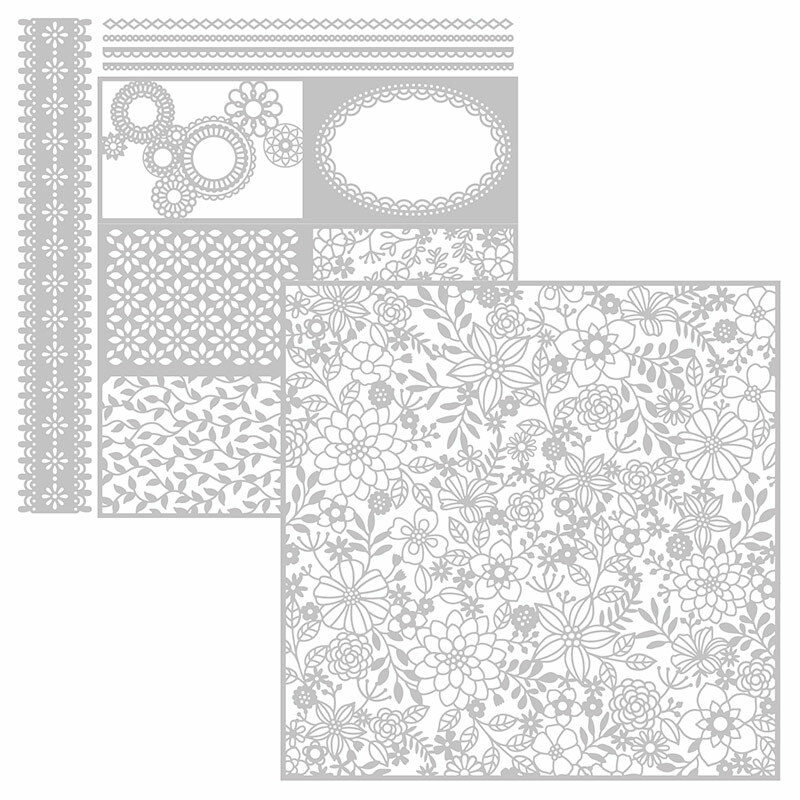 When I saw the laser cut speciality paper during the Telford On Stage event, I knew I had to have it. This morning I showed it to my scrapbookers and they absolutely adore it. I am sure it is going to be a big seller. 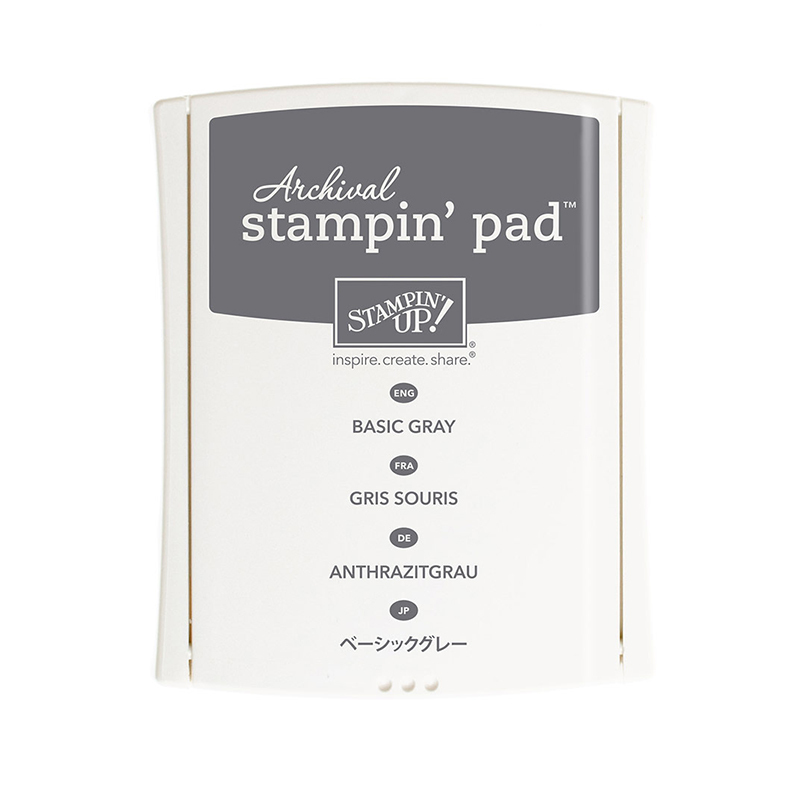 With these 3 products, plus an ink stamp pad, I chose Basic Grey as it was to hand. Here are the 3 cards I came up with. 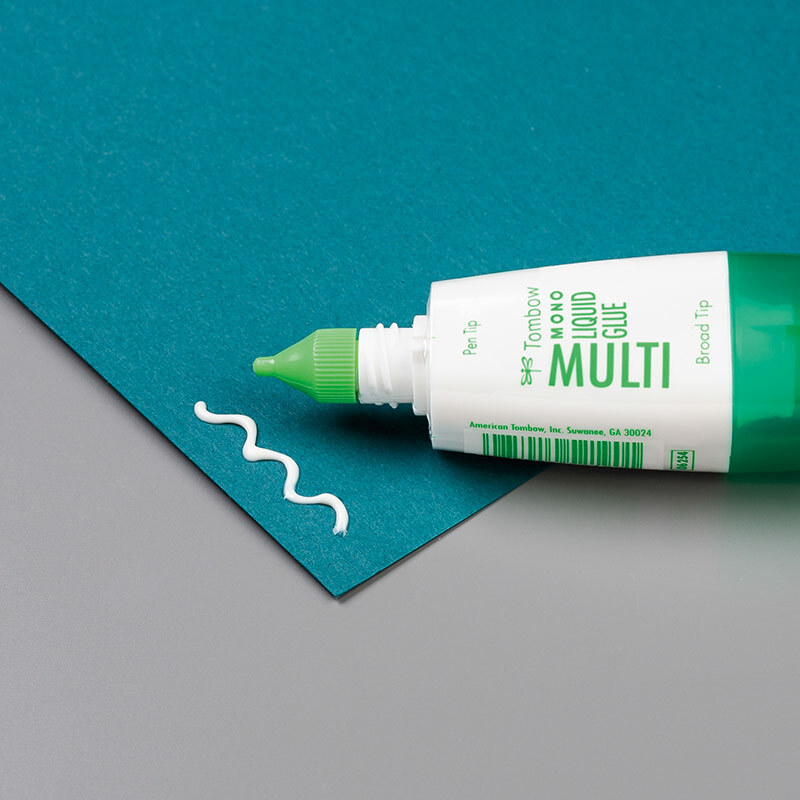 To be able to put the Tombow Multipurpose glue onto the laser cut speciality paper I laid the paper onto the silicon mat and using a sponge off cut, I dabbed the glue onto the paper. 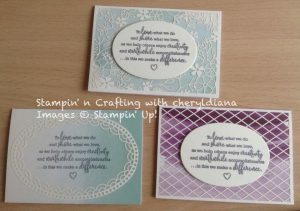 What beautiful cards! Thank you for sharing! 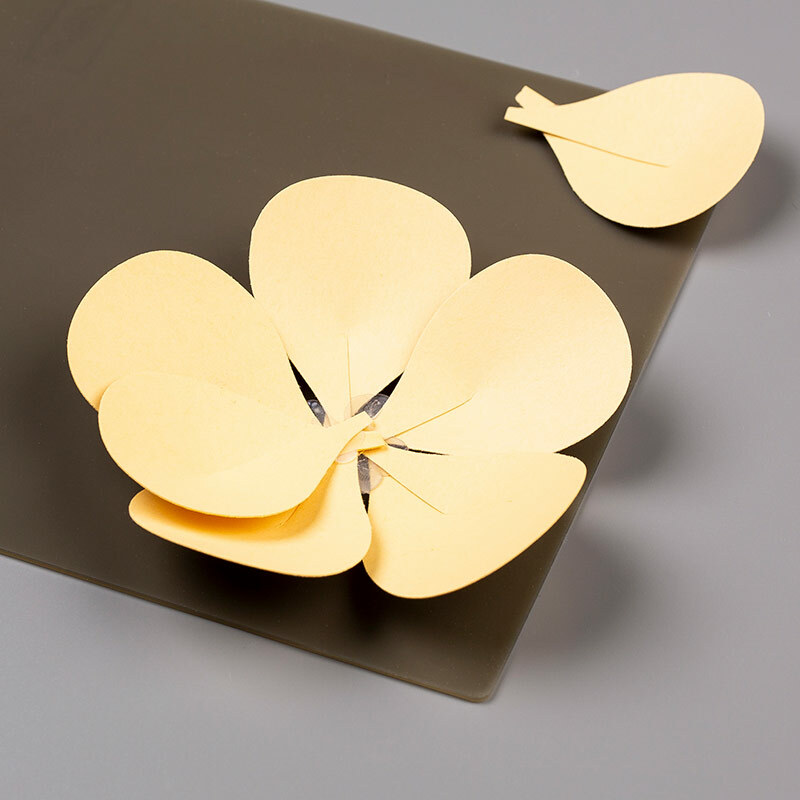 I love these – so stunning and elegant! 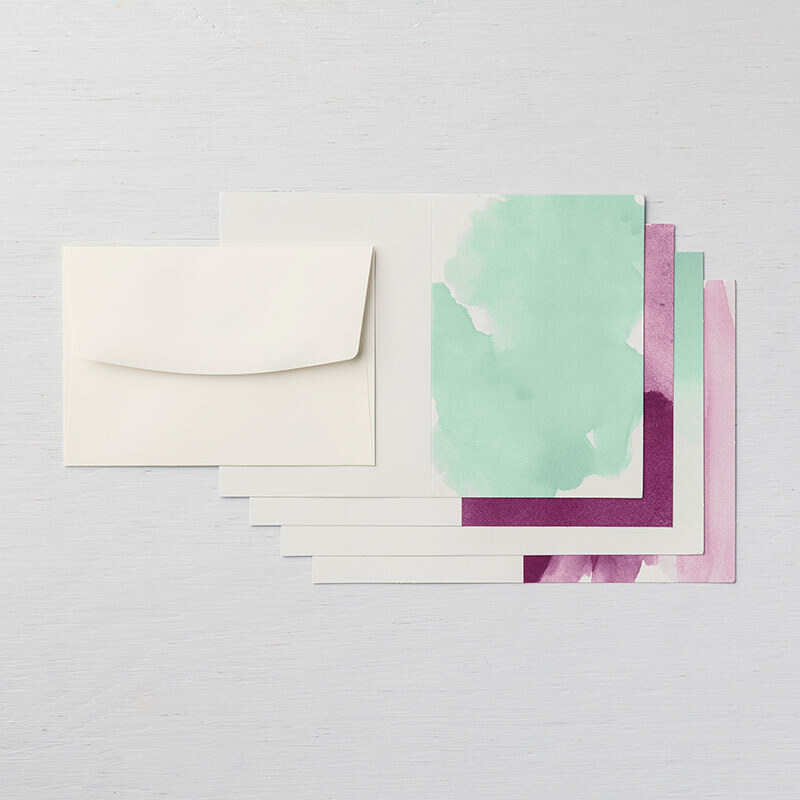 The Statement of the Heart stamp fits perfectly on those notecards. Thanks for sharing!